Sadie Stephenson in yr 13 has been involved in a project initiated by Westminster Business Council for young Artists who have a connection to Westminster through their College or School to exhibit publically. 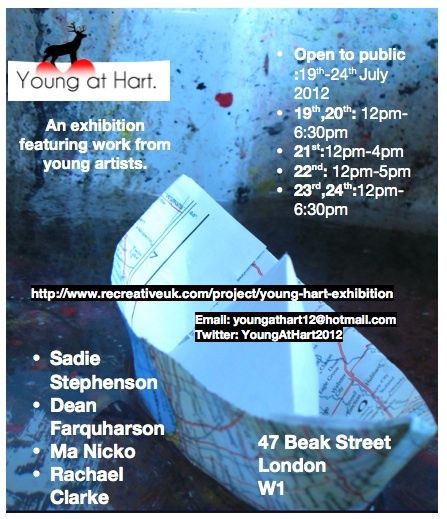 Sadie has been curating and organising an exhibition which will take place from the 19th -24th July 2012, at 47 Beak Street. The project aims to give the artists a chance to exhibit publically as well as learning the skills required to set up and run an exhibition. Details on the website.